SAP extends Business Suite 7 maintenance: What is the real reason? SAP has extended maintenance for Business Suite 7 from 2016 to 2020, supposedly to give customers predictability and remove the burden of upgrades. 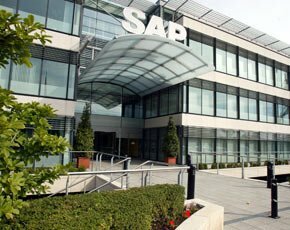 SAP has extended maintenance for its Business Suite 7 software from 2016 to 2020, supposedly to give customers predictability and remove the burden of upgrades for several years, as part of its strategy of delivering “evolutionary innovation' every quarter without business disruption. "SAP is so confident it can enable all innovation without disruption that it has extended maintenance for the Business Suite 7 until 2020," Vishal Sikka, chief technology officer at SAP told attendees of the Sapphire Now partner and customer event in Madrid in early November. Sikka, along with the rest of SAP's leadership, have been at pains to put a positive spin on the announcement ever since it was made in October, but there is another way of interpreting the move, which puts it in quite a different light from a customer point of view. What this really means, is that SAP does not have any real new product to deliver, because if it did, the software maker would not have extended Business Suite maintenance for another four years, says Ray Wang, principal analyst and chief executive at Constellation Research. SAP’s Hana in-memory computing platform is as crucial to the future of SAP now in much the same way as NetWeaver was seven years ago, he told Computer Weekly at the UK&I SAP User Group Conference 2011 in Birmingham. Right now SAP is allocating a lot of resources to updating Hana very quickly off the back of more than 50 proof-of-concept implementations, with over 18 updates in the past year. This shows that Hana is the new platform on which SAP will build future products, but not until it is thorough tried, tested and stable, says Wang, which means SAP is likely to start delivering its next generation of Hana-based products only from 2015 to 2017. In the meantime, SAP is doing whatever it can to communicate its long-term vision and provide assurances to stem the tide of customers looking for best-of-breed systems outside of SAP, pushing instead its cloud-based ERP and business intelligence offerings. Another reason SAP will not be able to deliver on its next-generation products any time soon, says Wang, is that while Hana crucial to SAP, it is just one piece of the puzzle - the foundation layer that will have to be supplemented by mobile, social, collaboration and unified communication layers. SAP has been making progress in several key areas: mobile since its acquisition of Sybase last year; analytics with its recently announced Hana in-memory database that can replace traditional data warehouses; cloud with a host of new offerings announced at the Sapphire conference; and even unified communications through collaboration with Microsoft. But, says Wang, true integration with Sybase mobile technologies is still a work in progress, and providing the rest of the layers to enable SAP’s long-term vision is likely to require further acquisitions in the areas of content management, identity management, cloud-based integration, mobile/cloud integration, and social interaction. While saying SAP’s ability to innovate is key to its long-term success, SAP co-chief executive Jim Hagemann Snabe has left the door wide open for further acquisitions. “In-house innovation is a better strategy, but acquisition can be an important part of an innovation strategy if focused on future technology, he told Computer Weekly in October. But, SAP has missed a trick, says Wang. By not acquiring at the same rate as Oracle, SAP has also not grown its maintenance revenues from a rapidly growing installed base. A social media company is likely to be SAP’s next acquisition, Wang believes, as this is the area SAP is lagging the most. Acquiring a company like Lithium or Jive will enable SAP to embed social layers in its products and provide community-related tools to bring social media into the enterprise and provide channels for interaction between the five generations that make up most workforces. In one of the plenary sessions of the SAP User Group Conference in Birmingham, Wang said that a social media acquisition by SAP could be announced soon, and hinted that Jive was his bet due to the company’s established working relationship with SAP. “Information in the social layers is different to the information in ERP systems; it is more of a conversation, but tying that unstructured data back to structured data will be powerful,” said Wang. But what does this all mean to IT managers now? The best way forward, says Wang, is to stop thinking about technology and focus instead on what the business wants to achieve. Next, get a clear understanding of current capabilities and what capabilities the business needs to achieve its goals, he says, then identify what technologies are needed to bridge that gap. Above all, Wang cautions against betting purely on technology. “Just having the technology does not necessarily mean you are going to win; it could instead put unnecessary constraints on the business,” he said. Instead, Wang advises that organisations should wait until the time is right to invest in the technologies that will deliver real business value. While SAP Hana is delivering performance improvements of several thousand times in some proof-of-concept implementations, unless it will help your business to do five new things or there is a real business case for a particular organisation, there is no point in investing it, he says. First adopters of Hana are likely to include public sector and defence organisations that have a large amount of data and cash, says Wang. Only when Hana’s capability can be delivered on the desktop or mobile device at a tenth of the current cost, will it become widely used in all businesses, he predicts. Of the companies taking part in proof-of-concept deployments of Hana, at least 15 have indicated they will not be rushing in to invest in the technology because although it is bound to be important in the future, there is no real need or justification for the investment now. “Investing in Hana or any new technology makes sense only if it has a real and positive impact on the business,” said Wang. Current and perspective SAP customers, then, should not be dazzled by Hana and other SAP innovations, but first look at what is necessary to achieve the goals of the business, and then assess if the technology will support those goals before deciding to invest. Should the strong US dollar prompt European CIOs to shop around for cloud? Is cloud the answer to the legacy IT problem? I think it is wrong to say SAP will not release any new product in the short term. The quarterly innovations will include lots of new product - but some of these will be bolt ons in terms of mobile apps, RDS's and Hana solutions. What this leads to is the security in ERP 6 for SAP customers. What SAP have not covered is HOW the new innovations will be delivered without disruption as the current process involves minor upgrades which can last more than 3 months.